and President & CEO John H. Watt Jr.
On Monday, December 19, 2016, NBT Bancorp Inc. announced that the Board of Directors appointed John H. Watt Jr. as President and CEO of NBT Bancorp and NBT Bank. Watt was also elected to serve as a member of the Board of Directors. Martin A. Dietrich, who announced his plans to retire earlier this year, will continue to serve as Chairman of the Board. "I have enjoyed working closely with John and NBT's Executive Management Team to orchestrate this seamless transition with the support of our employees and directors," said Dietrich. "I am confident that John will continue to lead NBT to achieve new milestones that meet the needs of current and future customers and create lasting shareholder value in a manner consistent with our community banking values. I am incredibly thankful for the opportunity to have worked with so many talented and dedicated people during my career at NBT, and I look forward to continuing in my role as Chairman." Watt added, "I am excited and honored to assume leadership of the highly successful team at NBT. I look forward to working with all of my colleagues to drive the Company's continued growth for the benefit of our shareholders and customers. It has been my privilege to work with Marty Dietrich this year on the leadership transition, and I look forward to a long and successful partnership with him in his role as Chairman." Watt has 30 years of experience in banking and financial services. He joined NBT in 2014 and has played an expanding role providing executive leadership for a number of key areas, including commercial and consumer lending, credit administration and marketing. He was promoted to Executive Vice President and joined NBT's Executive Management Team in 2015. Prior to joining NBT, Watt was Executive Vice President of commercial banking, investment management and bank operations at Alliance Bank, N.A. He was also a member of the Board of Directors for Alliance Bank and Alliance Financial Corporation. Previously, he was employed by JP Morgan Chase and its upstate New York predecessors. Dietrich began his career in financial services with NBT in 1981. He joined the Bank's Senior Management Team in 1995. 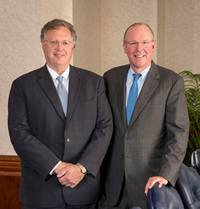 Dietrich became President of the Bank in 2000; advanced to President and CEO of the Bank and President of NBT in 2004; and ultimately became CEO of NBT in 2006. He joined the Bank Board of Directors in 1993 and NBT's Board of Directors in 2005. Copyright © NBT Bancorp Inc. All Right Reserved.